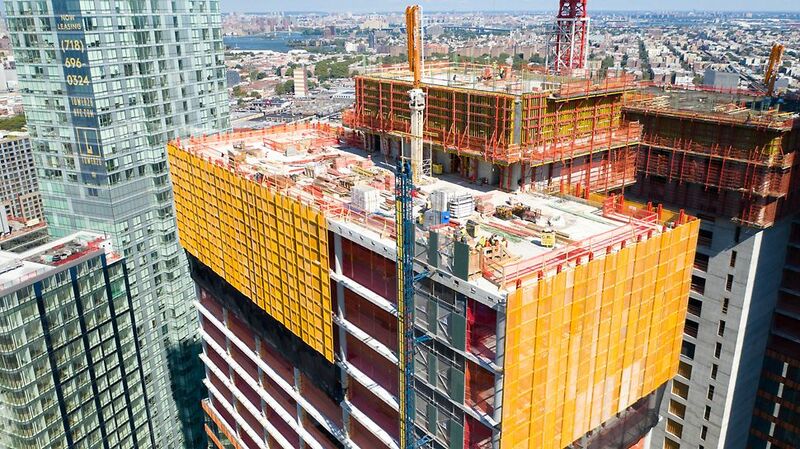 The JACX sets new standards for office towers in New York. 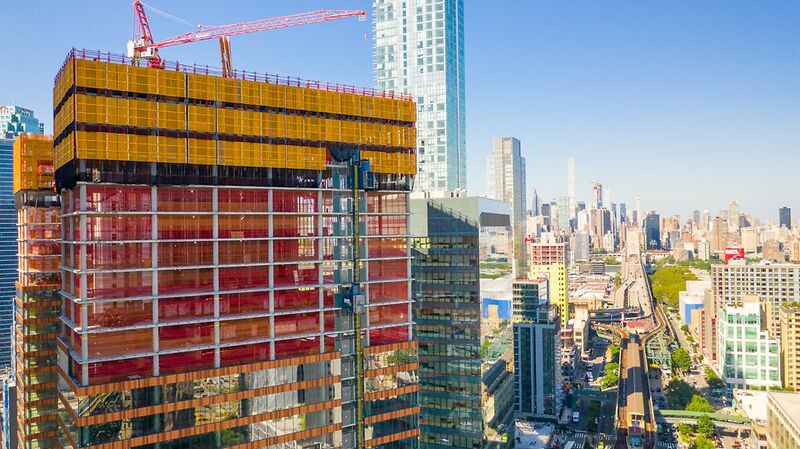 The project features a five level tall podium with an expansive, one-acre park on top before splitting into an East and West Tower for 25 more levels. The façade is wrapped in glass with bands of terra-cotta between each floor adding to the structure’s unique and aesthetic appeal. For the construction of the exposed cores, concrete superstructure contractor “Casino Development Group” is using PERI’s Rail Climbing System RCS-C in combination with architectural formlining. The cores of the towers are located on the sides of the buildings, thus allowing for end-to-end visibility on the inside of the tower floors, with 12' high office windows further enhancing the views in all directions. 17,000 sq. 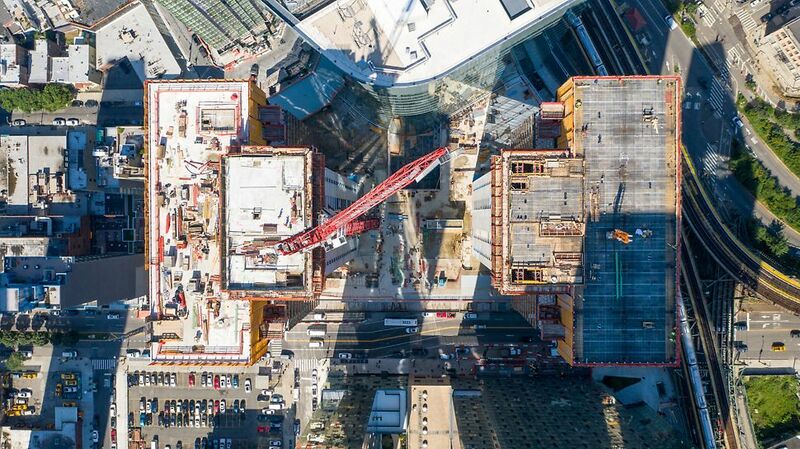 ft. of active slabs on each tower were formed using SKYDECK, enhancing the traditional pour down methods in New York. The safety of workers and the public was ensured by PERI’s Perimeter protection screens LPS (Light Protection Screen). 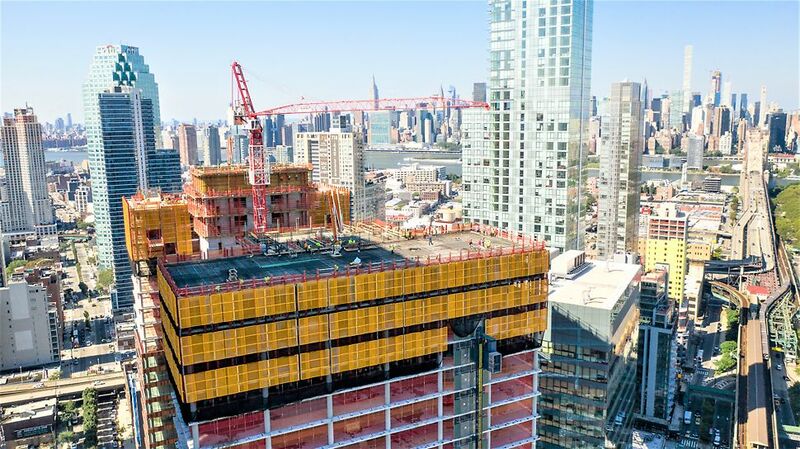 The system accommodated the vast amount of curtain wall embeds in the slab edge since the shoes of the LPS system are some of the most flexible on the market, allowing for easy adaptation of curtain wall hardware. For all shoring, backshoring, and reshoring props, the Contractor chose PERIs MULTIPROP and PEP systems. 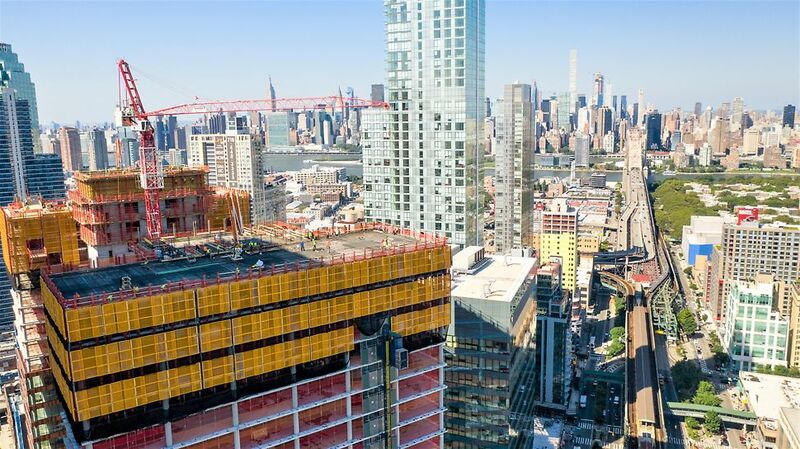 With over 50,000 SF of retail space and located perfectly right above NYC’s major transit hubs with 6 subway lines the project is designed to attract top businesses as well as the new workforce. Do you have a project? Contact us here to request a quote. Project Engineer, Casino Development Group, Inc. Working with PERI on this project has been integral to our success. 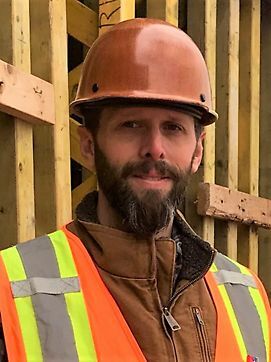 Without PERI, we would not have been able to achieve our “two floors per week” schedule, pouring over 1,600 yards of concrete per week. 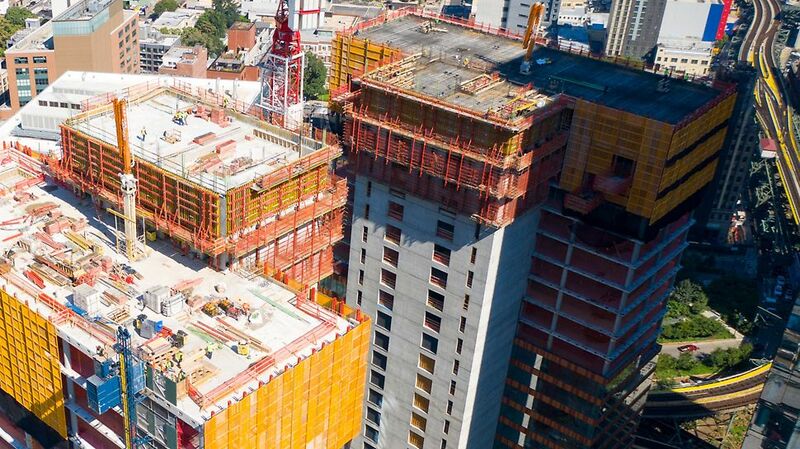 The independence of the formwork systems minimized the demand on the single crane servicing the job. The adaptability of the system allowed for large continuous architectural concrete pours exceeding expectations.